Nonalcoholic fatty liver disease (NAFLD) is a liver manifestation of metabolic syndrome. Overconsumption of high-fat diet (HFD) and increased intake of sugar-sweetened beverages are major risk factors for development of NAFLD. Today the most commonly consumed sugar is high fructose corn syrup. Hepatic lipids may be derived from dietary intake, esterification of plasma free fatty acids (FFA) or hepatic de novo lipogenesis (DNL). A central abnormality in NAFLD is enhanced DNL. Hepatic DNL is increased in individuals with NAFLD, while the contribution of dietary fat and plasma FFA to hepatic lipids is not significantly altered. 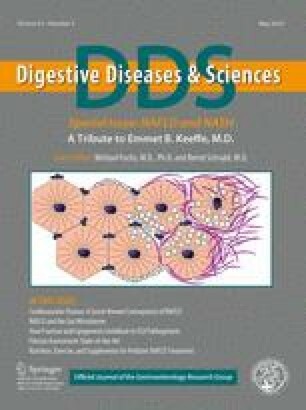 The importance of DNL in NAFLD is further established in mouse studies with knockout of genes involved in this process. Dietary fructose increases levels of enzymes involved in DNL even more strongly than HFD. Several properties of fructose metabolism make it particularly lipogenic. Fructose is absorbed via portal vein and delivered to the liver in much higher concentrations as compared to other tissues. Fructose increases protein levels of all DNL enzymes during its conversion into triglycerides. Additionally, fructose supports lipogenesis in the setting of insulin resistance as fructose does not require insulin for its metabolism, and it directly stimulates SREBP1c, a major transcriptional regulator of DNL. Fructose also leads to ATP depletion and suppression of mitochondrial fatty acid oxidation, resulting in increased production of reactive oxygen species. Furthermore, fructose promotes ER stress and uric acid formation, additional insulin independent pathways leading to DNL. In summary, fructose metabolism supports DNL more strongly than HFD and hepatic DNL is a central abnormality in NAFLD. Disrupting fructose metabolism in the liver may provide a new therapeutic option for the treatment of NAFLD. This work was supported in part by NIH Grants R01 DK031036 and R01 DK033201 to C.R.K, R37 DK048873, R01 DK056626, and R01 DK103046 to D.E.C, and K12 HD000850 to S.S. The authors declare that they have no conflict of interest to report.